Beth Coulton: Save the date! Friday December 3rd is going to be loads of fun! 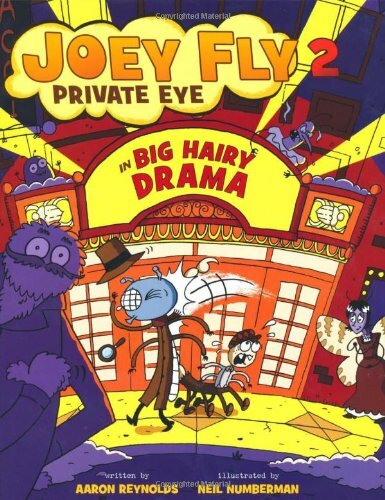 Not only because it's my birthday ;) but because I'll be hosting a guest blog for author Aaron Reynolds and illustrator Neil Numberman to help promote their new book, "Joey Fly, Private Eye in Big Hairy Drama"!! Aaron and Neil will be telling us all about their new book AND there will be a comment contest with giveaways. Neil has graciously offered to do a bug-caricature for ONE OUT OF EVERY TEN COMMENTS chosen randomly. It's gonna be a Fabulous Friday this week - remember to stop by, check it out, and leave a comment for your chance to win an illustrated giveaway by Neil! See you soon!